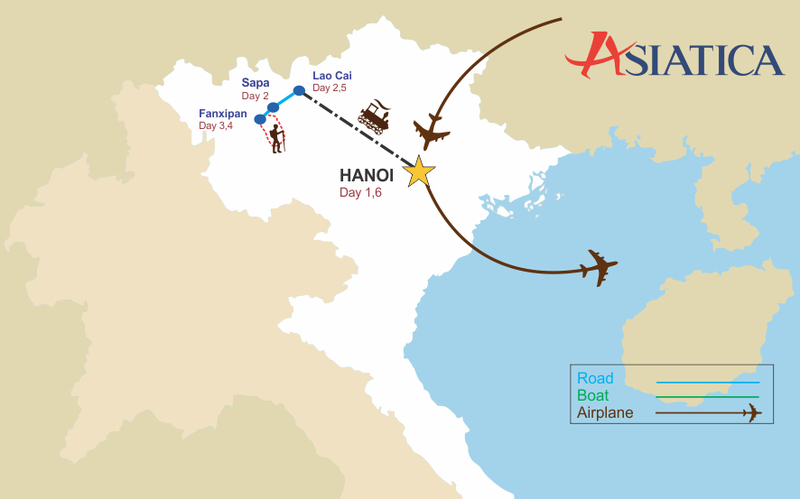 Transfer to Hanoi station for the night train to Lao Cai. Departure at 9:00 pm. Overnight in the 4-berth soft sleeper cabin. Arrive at Lao Cai around 6 :30am and drive to visit the Sino-Vietnamese border. 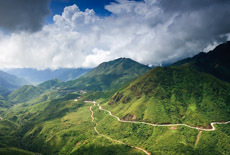 Continue your drive along the winding roads to reach Sapa, a hilltop retreat founded in the French colonial era. Free time in Sapa to rest and prepare for the morning trek. Overnight at hotel. You will be picked up at the hotel and then visit the impressive Silver Waterfall before reaching the highest pass in Vietnam, the TramTon Pass at 2047 meters above sea level. From here, you can savor a panorama view of Fanxipan Mountain, the "Roof of Indochina". Take a rest and relax in the fresh air before starting the challenging trek to the peak. Walking through the primitive rainforest and jungle, you will have ample opportunities to enjoy awe-inspiring scenery and magnificent views of Sapa tow and Lai Chau province. Short break for lunch. After approximately 5 hours, you will reach the height of 2200 meters. Time for camping, dinner preparations and spending the first night on the mountain in the heart of nature. After breakfast, continue your trek to the summit, through the Yellow Bamboo forest. 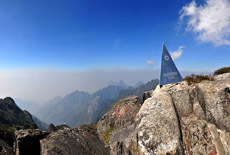 After approximately 4 hours, you will reach the the highest peak in Vietnamat 3143 meters above sea level. Spend 1 hour at the summit to enjoy the magnificent views and take photos. Have lunch before descending back to the camp at 2200 meters for dinner. Spend a second night on the mountain. After breakfast, you trek along a different route to the foot of the mountain. 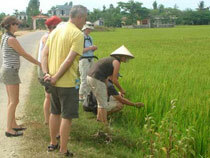 On the way, visit Sin Chai Village home to Black H’mong people. Picnic lunch along the way. 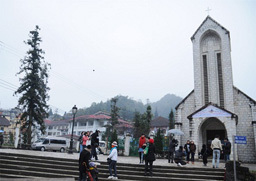 Take a rest at the foot of the mountain and wait to be tacken back to Lao Cai station. Overnight in the 4-berths soft sleeper cabin in the night train to Hanoi. 3-star hotels (bases on 2 persons/room) and camp as mentioned in the program.